After slow start, Mustangs roll to MVC victory. NORTH ANSON — It was quick and it was clinical, even if it wasn’t effortless. Effort, at least early on, was part of the problem. 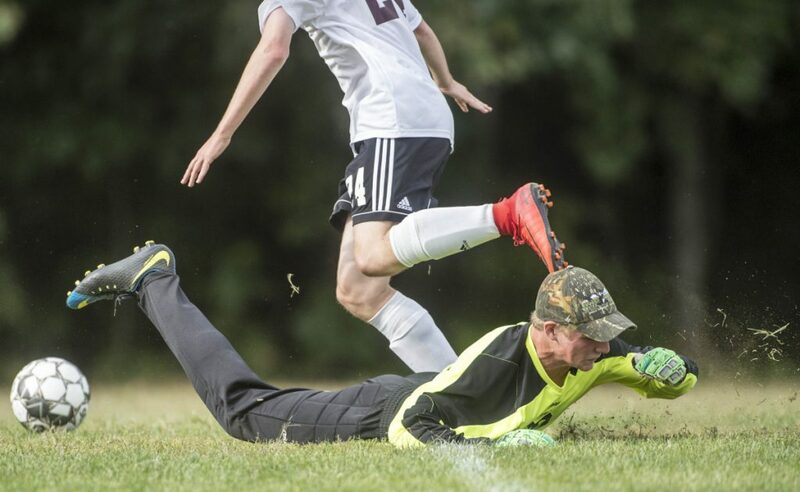 Monmouth Academy boys soccer coach Joe Fletcher was so dispirited by his team’s lack of effort that he plucked all four members of his starting midfield off the pitch at the 10-minute mark, sending the clear message that a higher work rate was going to be required. 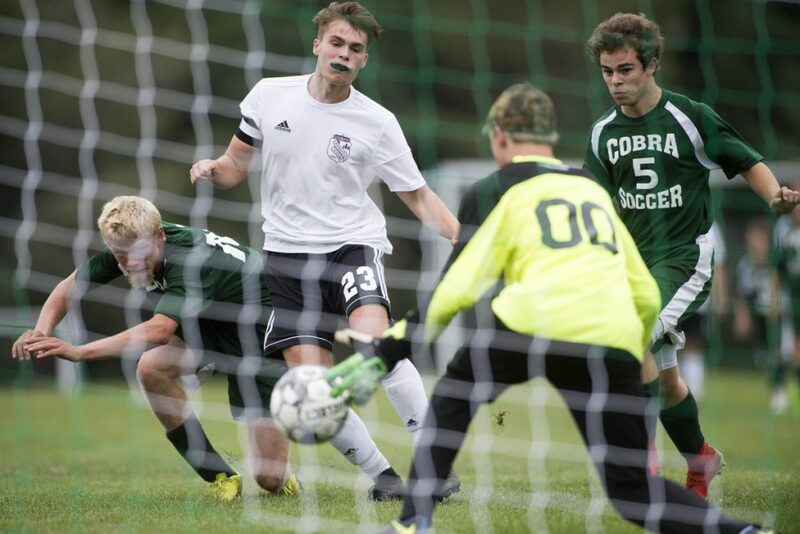 The Mustangs scored the first of their three first-half goals only three minutes later, sending themselves off to a 7-0 Mountain Valley Conference win over Carrabec on Monday afternoon. 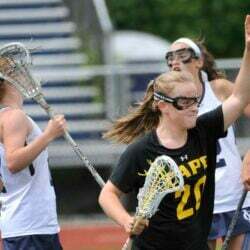 Freshman Hayden Fletcher was the hat trick hero, while junior midfielder Gabe Martin scored twice. Thomas Neal and Cameron Armstrong also scored for Monmouth (3-2-0). In a twist of irony, the same midfield called into question by their coach so early in the contest provided the difference in this one. Monmouth’s ability to turn wins in the midfield into quick counter attacks helped the visitors rack up 34 shot attempts — more than 70 percent of which (24 in all) ended up on frame. Martin’s play was important in getting the Mustangs going as the game wore on. 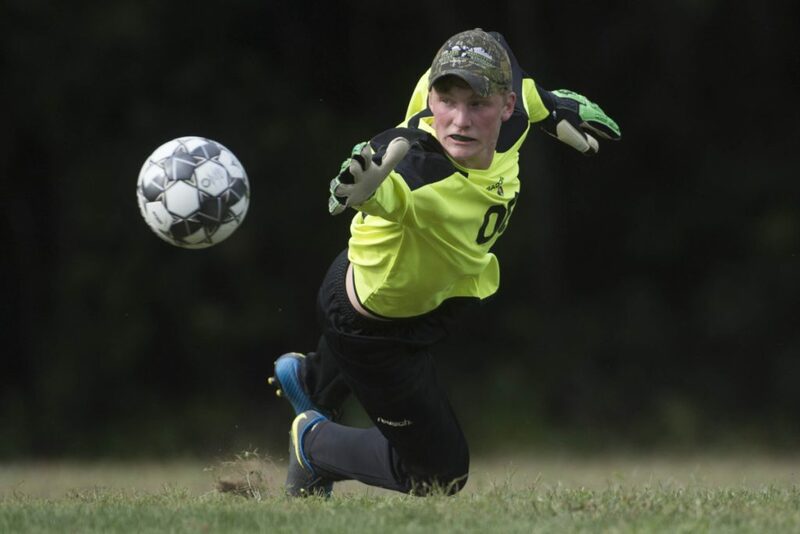 Only Carrabec senior goalkeeper Brad Clark and his 18 saves kept the contest from being much more one-sided than it was. Chasing a 3-0 deficit at halftime, the backbreaker for Carrabec (0-3-0) came in the form of goals from both Fletcher and Armstrong inside the first eight minutes of the second period. Sirois thought his team played well in stretches, particularly early on when the Cobras had Monmouth frustrated and unable to stretch its collective attacking legs.